These laws grew into the “Slave Codes” of 1705, and all of these laws essentially reduced the black population to being viewed and treated as inferior, degraded, and into almost sub-human status. You can Google these two terms if you want to see more of the horrid specifics of these two laws. 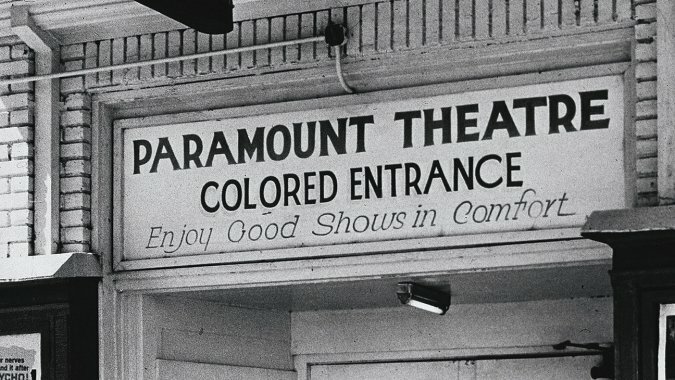 The later “separate but equal” period lasted from the 1896 “Plessy vs Ferguson” law, a landmark constitutional law case of the Supreme Court that upheld state racial segregation laws for public facilities until the 1954 case mentioned in the above paragraph. Sadly, the Plessy vs Ferguson battle started in my home state of Louisiana, and Ferguson was the judge in the case. I just pray that he wasn’t a part of my family tree. I do hope that you have at least started watching that four part PBS series that I recommended in my last post. When Chief Justice Earl Warren declared those laws unconstitutional and said that blacks were equal to whites and not to be discriminated against on the basis of race, did the Jim Crow era end? Not by a long shot. I went to segregated schools all of the way through college. 1965 was a big year for me. I got married in January, graduated from college in late May or early June, and started my brief public school teaching as a Junior High School band director in September. Two years later, I became the band director at a new High School and the following school year (1968), racial integration began in Shreveport, Louisiana by bringing a few black teachers into the white schools. In our large High School, we had five black teachers. The following year, black students began being ushered into formerly all-white schools. I had quit teaching by then, having been bitten by the “preaching bug” and didn’t witness it personally. Hence, the Supreme Court decision ending segregation may have been rendered in 1954, but it was 15 years before the actual integration of schools began in my hometown. Basically, the Court could rule but not enforce. Why in the world did it take that long to even begin practicing some semblance of what the Declaration of Independence itself demanded in 1776? “We hold these truths to be self-evident, that all men are created equal, that they are endowed by their Creator with certain unalienable rights, that among these are Life, Liberty and the pursuit of Happiness.” You already know the answer to that one. Two, Thomas Jefferson, one of the founding fathers of America, and primary author of the Declaration of Independence, is credited with making the change to happiness. I’m not sure how much of a change that represents in the 21st century, in that the majority of our citizens seem to have been brainwashed into equating happiness with possessions. Three, Jefferson himself owned slaves, as a man of his times, but his views about the institution were complex and changed in some good ways as he aged ─ yet he never ceased to own slaves. What Does This Background Teach Us? Although the foundational documents of our country contained some wonderful concepts, they were clearly not designed with people of color (all colors not white) in mind. As a nation, we have historically prided ourselves on having a “melting pot” population composition, comprised of all types of people. Yes, our country was founded as a place for new beginnings and opportunities, but those early inhabitants were mostly white. They may have found their way to our shores even from a prison in some European country, but the true nature of the melting pot was far more limited than we imagine. It should be obvious that this inspirational invitation was not directed toward non-whites, for the blacks arrived as property in slave ships and those already here (Native Americans) were slaughtered and displaced under the rationalization of the doctrine of “Manifest Destiny.” Our history is not nearly so nice and tidy as most history books would lead us to believe. I love so many of the principles upon which our country is based, but their limitations in application have to end if we are to become “the land of the free and the home of the brave,” as our National Anthem words it. The phrase “Make America Great Again” may appeal to certain white folks, but by now you can surely understand why blacks and other non-whites would say that the phrase is one word too long. “Make America Great” might express a worthy goal, but considering our national history from the perspectives described in this blog, the term again is hollow at best and repulsive at worst. This particular article is a heavy one, as have been the ones before it and some of those to follow. Yet, we are still disciples of Christ, set on following his example. Our primary citizenship is a heavenly one, not an earthly one. I keep thinking to myself, “Gordon, why are you writing this?” To restate some of what I have said before, I have several reasons of which I was aware at the beginning and at least one that is dawning on me more as I write. One, I want my black brothers and sisters to know that their white brothers and sisters want to learn more about the world from their perspective, and become more empathetic and supportive. Two, in order to accomplish that goal, I want to help educate my white brothers and sisters about the broader scope of racism. It is a systemic American sickness and our society is far from being cured. I chose my blog title mainly to catch people’s eyes and prick their interest in reading, but black tax is the mild form of what many blacks now face in their lives, and their ancestors faced a far, far worse environment. Three, I want all of us, regardless of race, to get help biblically in order to respond to all of life’s challenges as Christ teaches, and as he lived it when on earth. Perhaps the best description of following Christ in the midst of emotional pain induced by others is this verse: “When they hurled their insults at him, he did not retaliate; when he suffered, he made no threats. Instead, he entrusted himself to him who judges justly” (1 Peter 2:23).